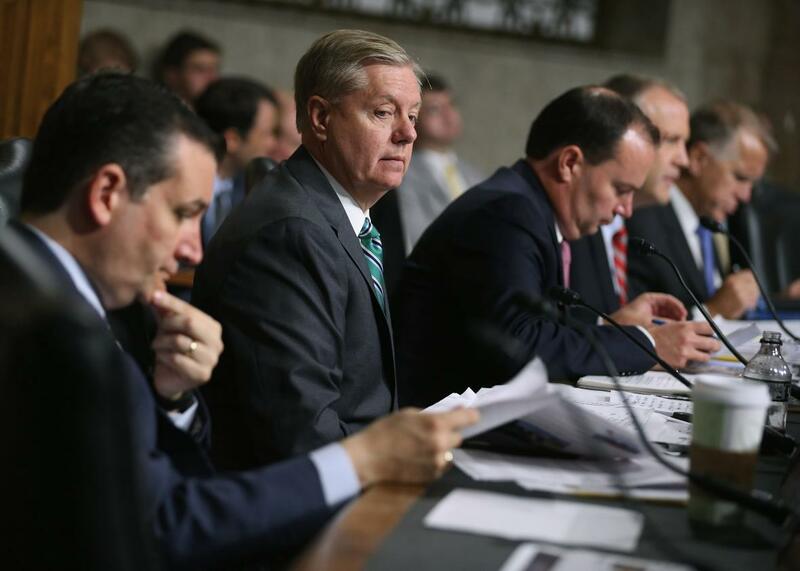 Iran deal: Actually, Republicans don't need to read it to know they don't like it. Republican presidential candidates Sen. Ted Cruz and Sen. Lindsey Graham prepare to question witnesses during a hearing about the Iran nuclear deal on July 29, 2015. Of course, this didn’t stop critics of the deal from attacking it before they had even read it. John Oliver had some fun with the premature opposition of John Boehner and Lindsey Graham, comparing it to “the way a 4-year-old talks about broccoli.” The actual meat of the agreement, he points out, is only about half the length of a Babysitters Club book. I have read the deal. It’s right here if you want to as well. But I find it hard to believe that doing so would change the mind of anyone who went in with a strong opinion of its basic premise. This may seem an odd point given how long it took to hammer out the final details of the agreement. These fine points are certainly crucial to many who how the agreement will be implemented, but in the context of the political debate over the agreement, they don’t actually matter that much. As Steve Coll put it recently, while the deal has strengths and weaknesses and involves significant concessions from both sides, “Obama’s best argument … is not the fine print but the fact that the deal is better than any other realistic course of action.” The argument for the deal, from the administration’s perspective, is that while Iran may be a malign force in world politics, its leaders are rational actors who respond to incentives and will see that giving up a nuclear weapons program in exchange for sanctions relief is a better course of action than a return to isolation and the threat of war. Allowing the country to maintain much of its nuclear infrastructure is a risk, but one worth taking if it can prevent either an Iranian nuke or a dangerous and likely ineffective military strike. The deals critics reject this premise, arguing the Iran will cheat if given the opportunity. Even it doesn’t, these critics would say, the cash windfall from sanctions relief will allow it to increase its support for terrorist groups and anti-American governments in the region. Better to keep in place the sanctions to weaken a regime that will invariably be a threat to the United States and Israel. If you feel either way, the details of the agreement aren’t going to sway you. Critics have raised concerns from the delay of inspections to the eventually lifting of the weapons embargo. But even had the negotiators gotten larger concessions on these issues, it’s unlikely those now opposing the deal would have supported it. For proponents, most any decent deal blocks Iran from getting a nuclear weapon. For opponents, virtually any achievable deal puts Iran on the pathway to acquiring one. Those arguing the report can study the agreement as closely as they want, but as long as they’re divided on the basic premise, it’s hard to imagine it would make much difference.